A funny thing happens when you drive into Vermont from Massachusetts or upstate New York. The foothills are the same, the rolling fields are similar, but Vermont has something special that people can’t quite put their fingers on. Actually, part of the difference is what Vermont doesn’t have — roadside billboards. Vermont has always been protective of its scenic views. As billboards popped up throughout the 1900s, Vermonters made sure their voices were heard. Our grandfather, Vrest Orton contributed to the battle throughout the 1950s, publishing several editorials which were popular for their passionate delivery, “Roadside signs in Vermont are illegal because scenery belongs to the public, not landowners.” he said. In 1968, the State of Vermont finally outlawed billboards entirely, one of only four states to do so. Every so often some lobbying firm makes a run at the law, but so far we’ve held our own. There’s no better way to experience the difference than to see it for yourself! 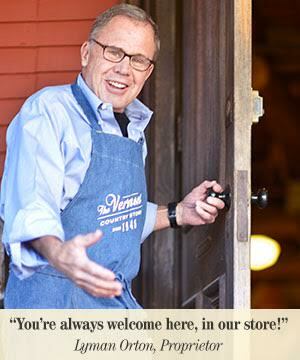 We hope you’ll take a drive up our way soon, and be sure to stop and visit us at The Vermont Country Store when you do. Posted in Discover Vermont, Orton Family Classics. I was born just after the war, and one of the favorite memories of childhood was going to Weston and getting candy from your store. my mom usually spent a few dollars at your store on goods and sundries. We lived in rural Washington County NY, so it was a short trip to Weston. I carried on the family tradition by bringing my children to your store. I miss those daytrips, and now I am retired and living in Florida, but those memories will always be there to brighten my day. Thanks for keeping old fashioned tradition alive. but now we have those ungodly wind turbines on our mountain tops. Good for you! I wish they had a law against roadside signs in my state. Vermont is a beautiful state to visit. My husband and I try to visit twice a year, late spring and fall. We always stop at The Vermont Country Store in Rockingham. Fascinating! All the time i have driven there, i never notice!! LOL!! Who are the other 3 states? Great question, Avi! The other three states that prohibit billboards are Alaska, Hawaii and Maine. I hope that you will come visit us the next time you travel to Vermont! I was in Vermont last fall and suddenly realized what I wasn’t seeing…You have such a beautiful state! I was thinking the answer should be “me” — I’m missing from that photo — either on foot, bicycle or by car with the windows down! 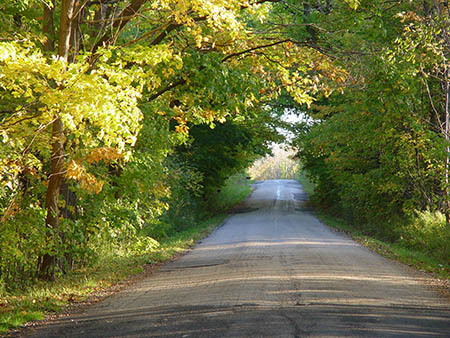 That is a extremely attractive and relaxing roadway to adventure any time of the year! Of course, the absence of billboards enhances that immensely (thank you all for that! ), I just wish I was there. Thanks for sharing it. That is so special. I remember when Lady Bird Johnson tried to get them removed from rest of nation. Was so much nicer looking for awhile. Now seeing more and more of them in Iowa. How delightful! I wish our legislators were equally courageous here in California. I believe there are some local towns who opt for “no” but not statewide. Good for you Vermont!! Just beware if Regan Sign Company ever moves your way. Then it will be goodbye scenery. That’s super-awesome!! Billboards and the multitude of mini-placards all over the roadsides make the scenery much less appealing and congested looking. Great history to know and the influence of your family. Serenity is a treasured gift and always found on a lovely Sunday afternoon drive. How wonderful to still have this treasure throughout Vermont! Ooo, I like that! Good for Vermont!